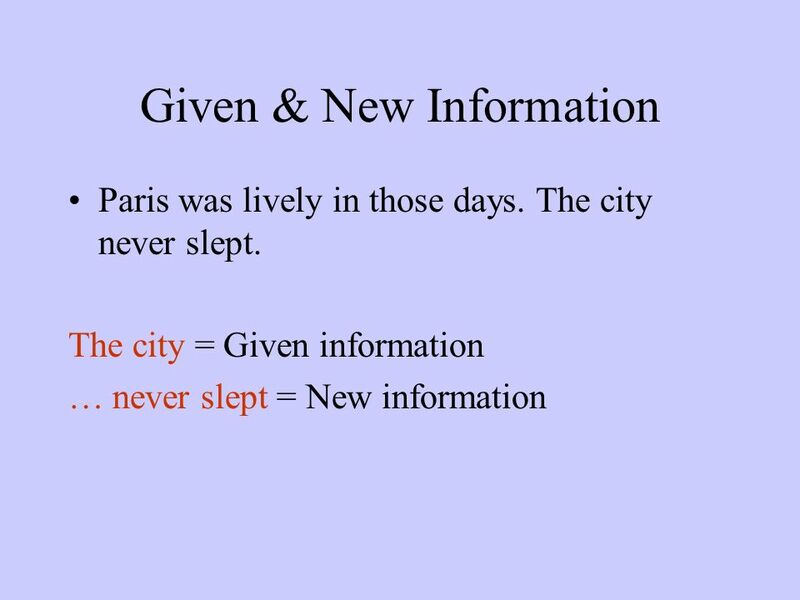 Lesson Four Functional Grammar. 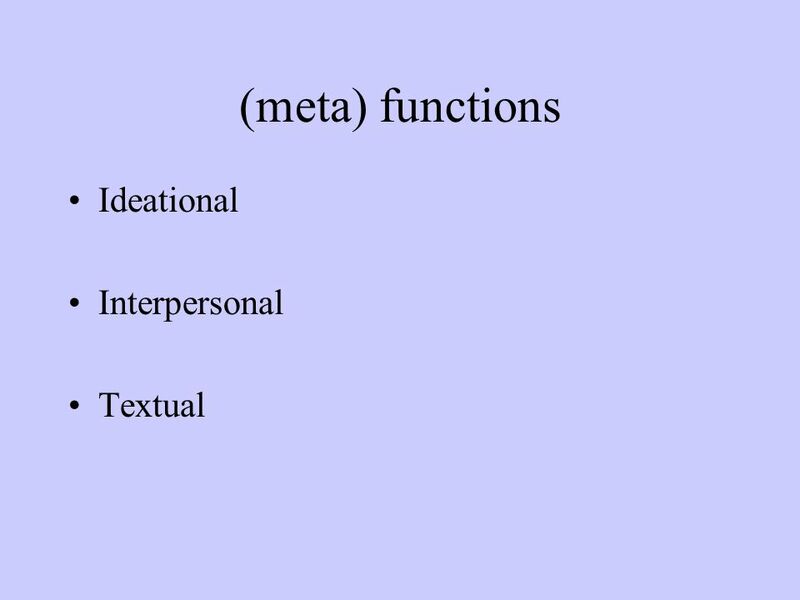 (meta) functions Ideational Interpersonal Textual. 6 Present Perfect Carola:Well… he called to ask me what I was doing this weekend, but I had to tell him I was coming here. Claudia:So call him now! Carola:Now? Its two in the morning! ClaudiaAlright tomorrow. But call him tomorrow. Carola: Alright. 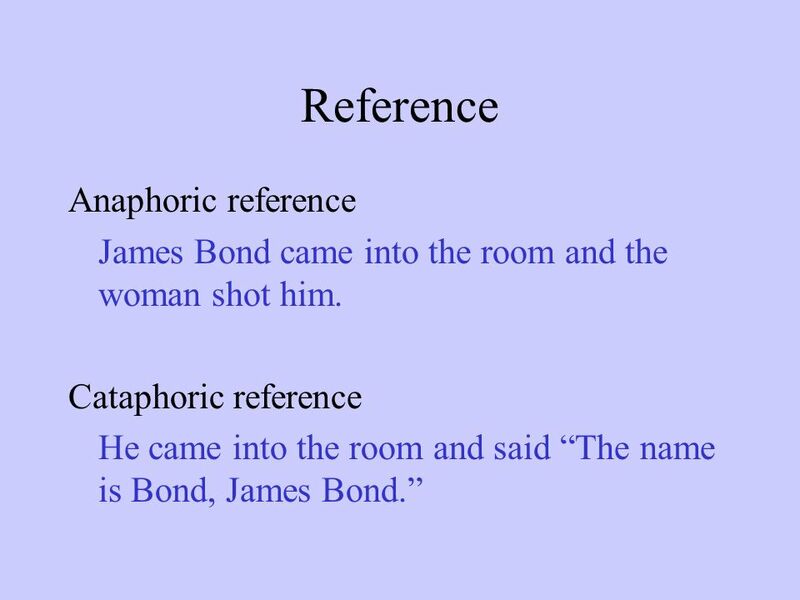 9 Reference Anaphoric reference James Bond came into the room and the woman shot him. Cataphoric reference He came into the room and said The name is Bond, James Bond. 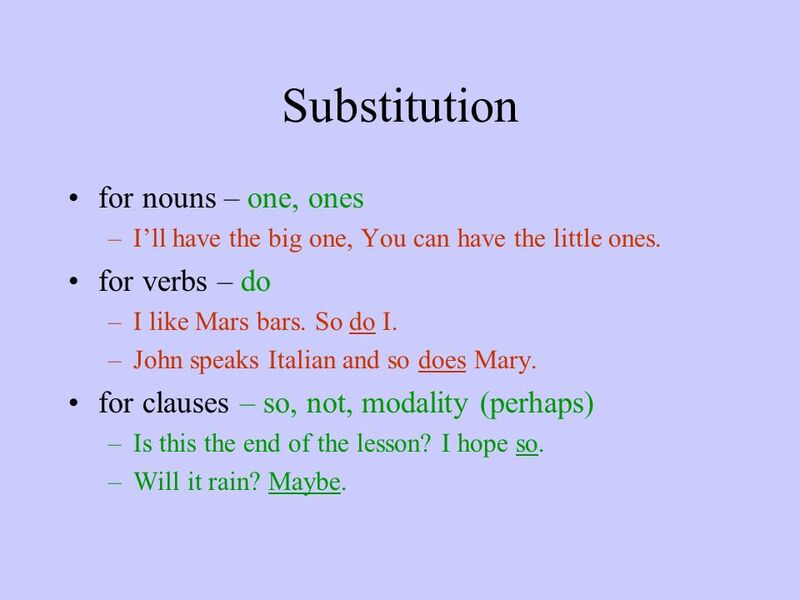 10 Substitution for nouns – one, ones –Ill have the big one, You can have the little ones. for verbs – do –I like Mars bars. So do I. –John speaks Italian and so does Mary. 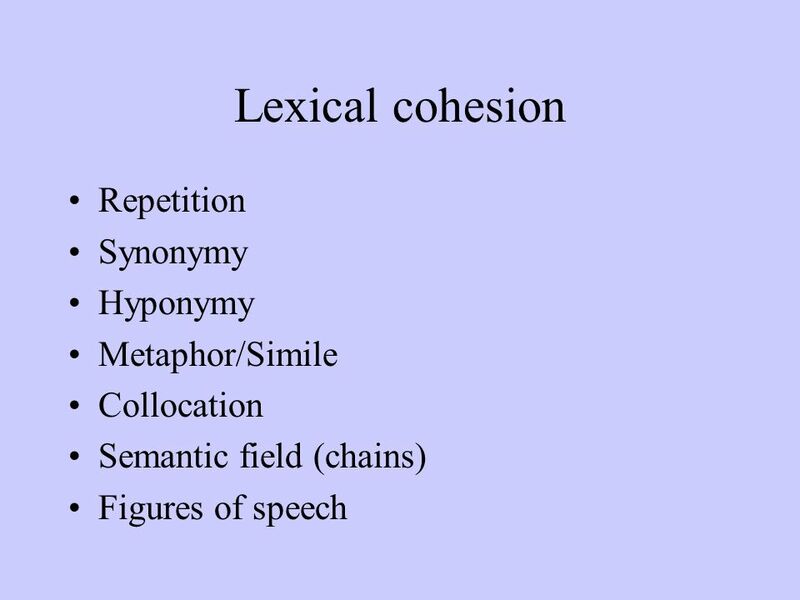 for clauses – so, not, modality (perhaps) –Is this the end of the lesson? I hope so. –Will it rain? Maybe. 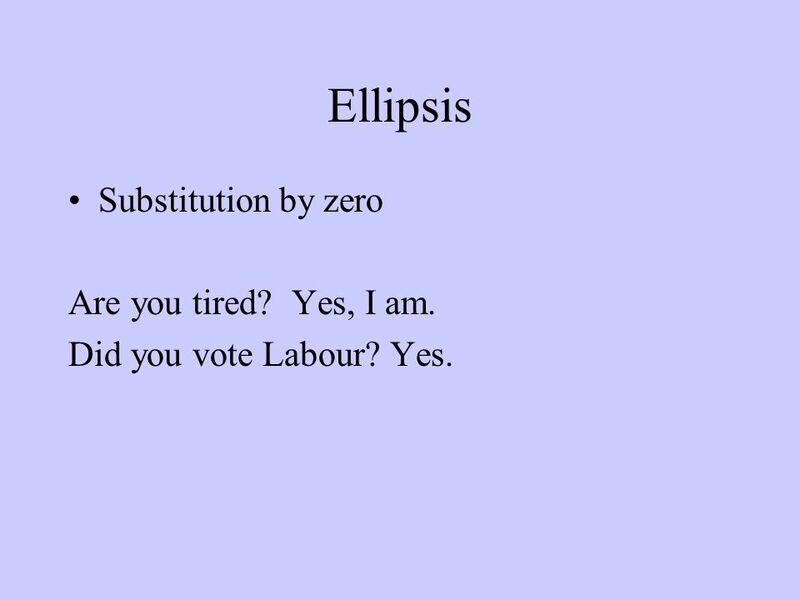 11 Ellipsis Substitution by zero Are you tired? Yes, I am. Did you vote Labour? Yes. 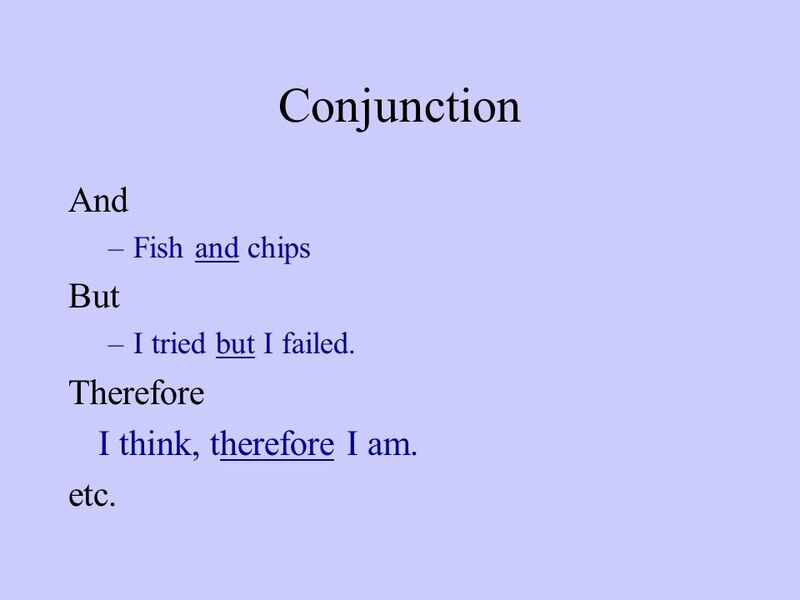 12 Conjunction And –Fish and chips But –I tried but I failed. Therefore I think, therefore I am. etc. 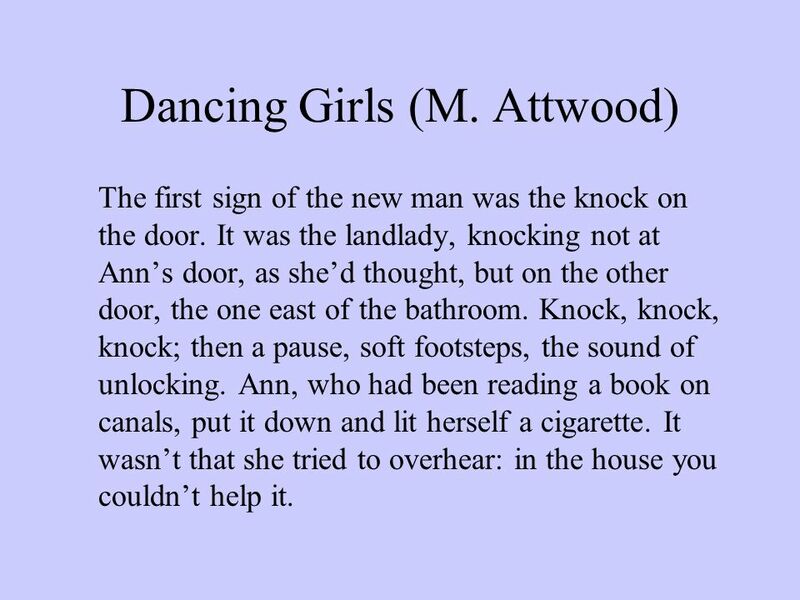 14 Dancing Girls (M. Attwood) The first sign of the new man was the knock on the door. 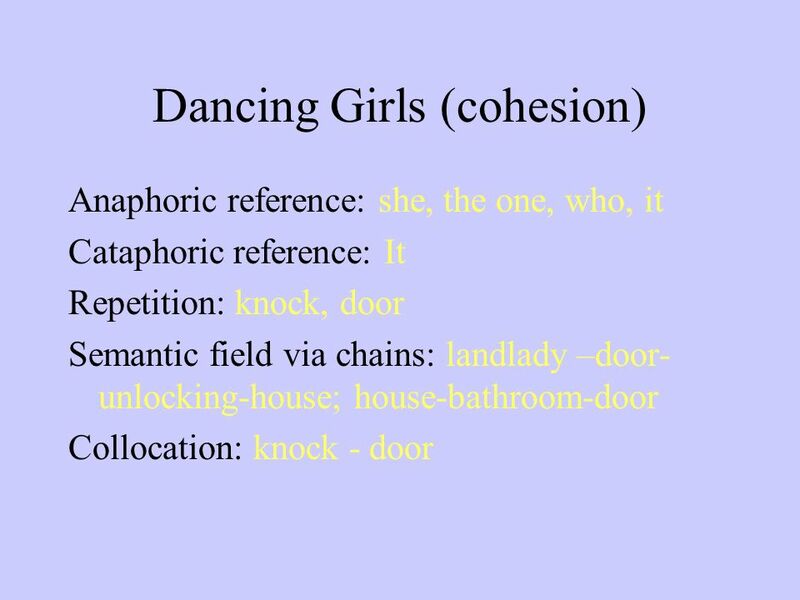 It was the landlady, knocking not at Anns door, as shed thought, but on the other door, the one east of the bathroom. Knock, knock, knock; then a pause, soft footsteps, the sound of unlocking. Ann, who had been reading a book on canals, put it down and lit herself a cigarette. 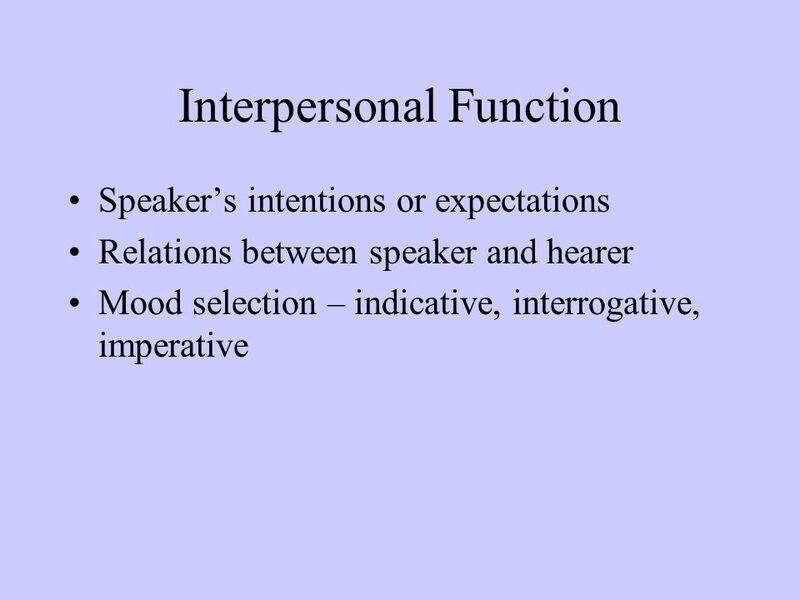 It wasnt that she tried to overhear: in the house you couldnt help it. 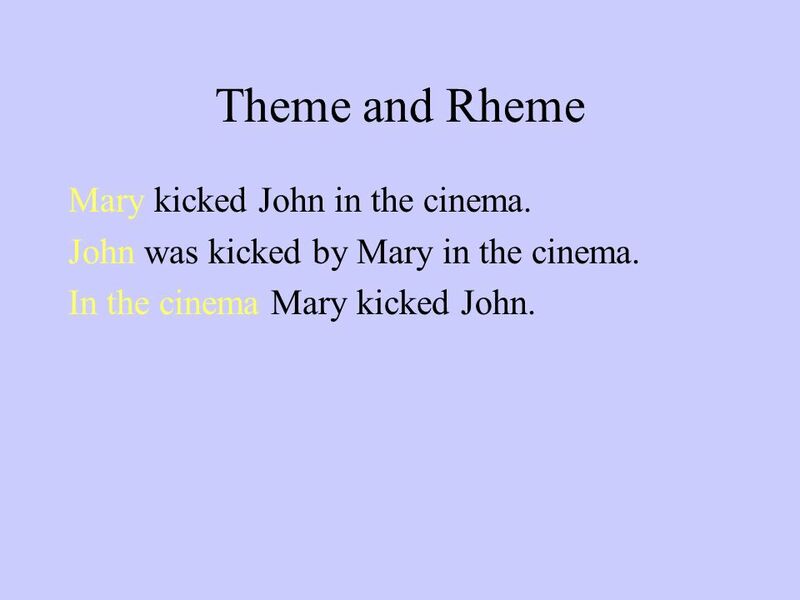 16 Theme and Rheme Mary kicked John in the cinema. 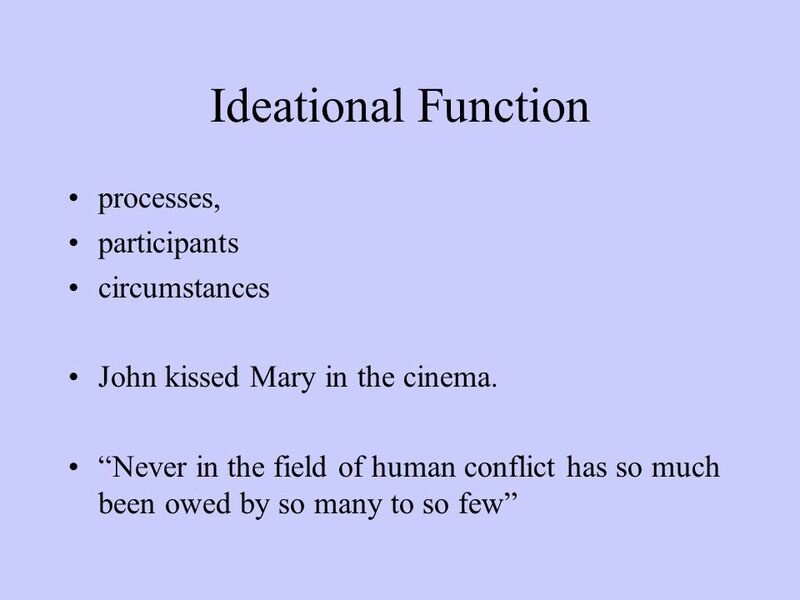 John was kicked by Mary in the cinema. In the cinema Mary kicked John. 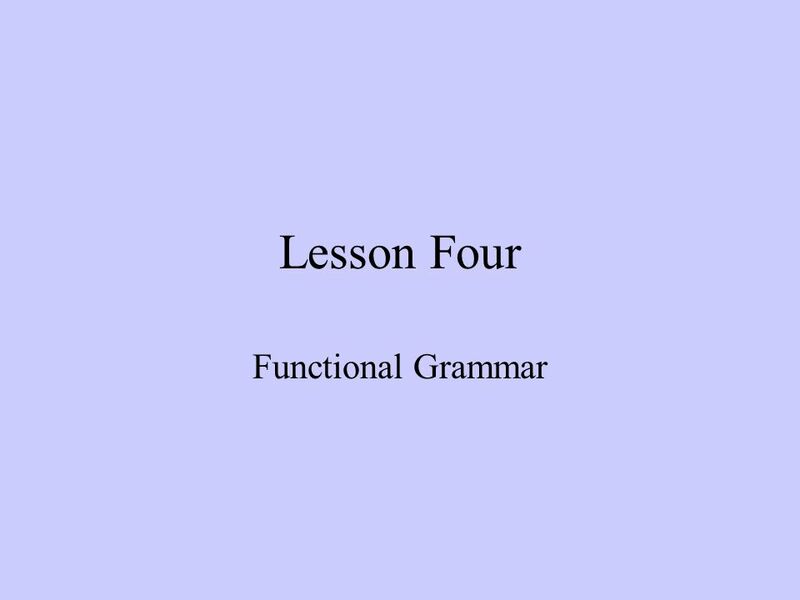 Download ppt "Lesson Four Functional Grammar. 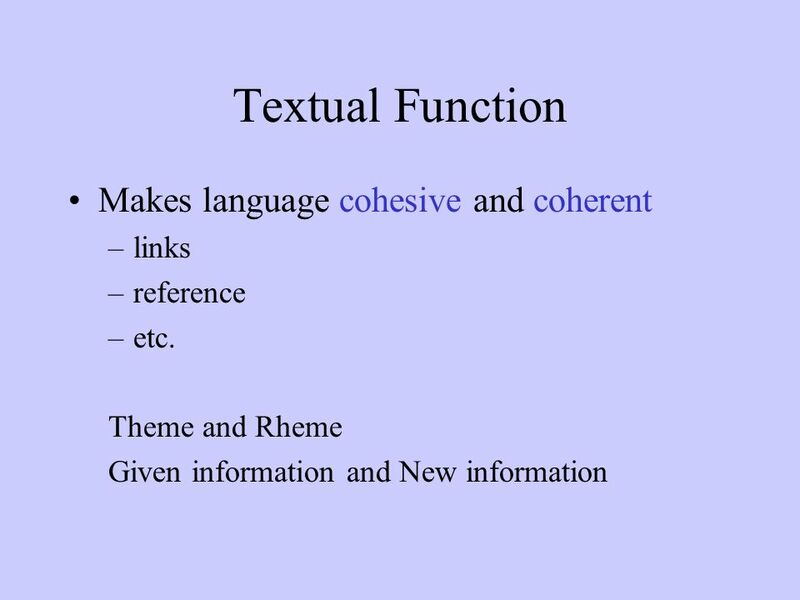 (meta) functions Ideational Interpersonal Textual." 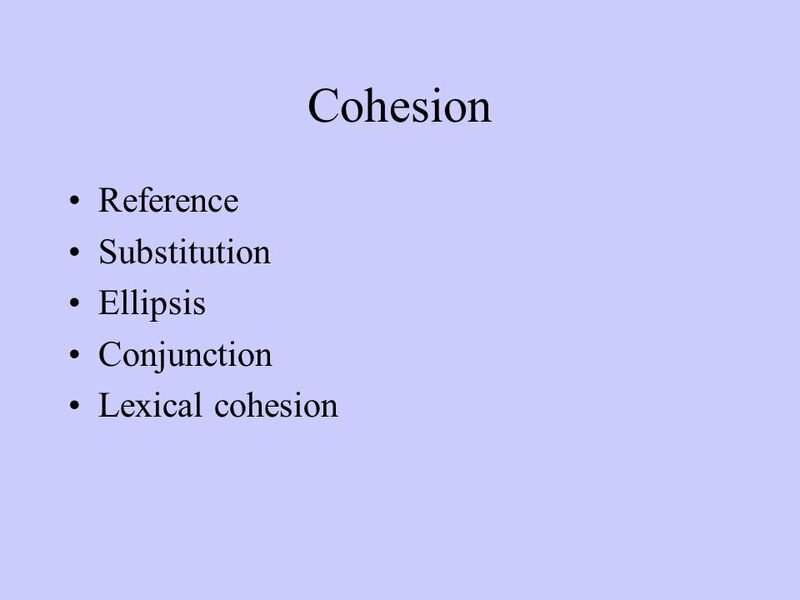 Language Focus Unit 3 CONTENT Pronunciation Warm upPractise Grammar Task 1Task 2.